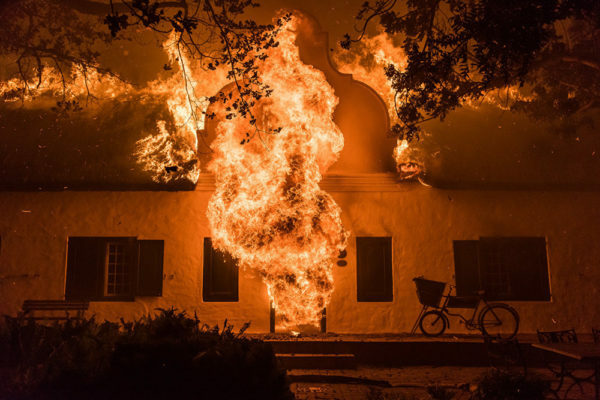 Renowned for his talent in visual documentation, South African photographer Justin Sullivan won first place in an acclaimed international award ceremony held in Moscow earlier this month. Sullivan was awarded first place in the ‘Top News: single’ category of the Andrei Stein International Press Photo Contest and was placed second in the ‘My Planet: series’ and ‘online winner’ categories. 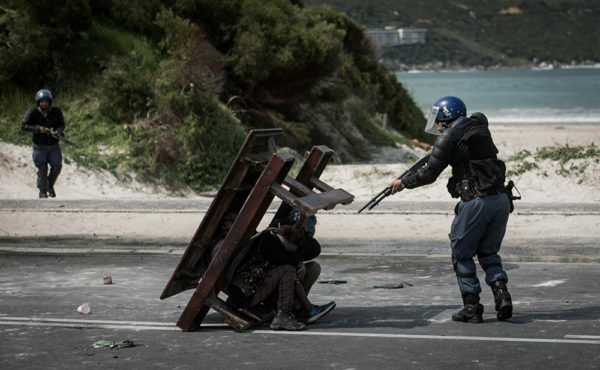 His winning image, titled ‘Stand Off’, depicts a police officer pointing a gun at three individuals under a table. The photograph was taken right before the officer shot one of the three, a 14 year-old male, in the mouth at close range with rubber bullets. The incident took place following protests over fishing quotas which turned violent. 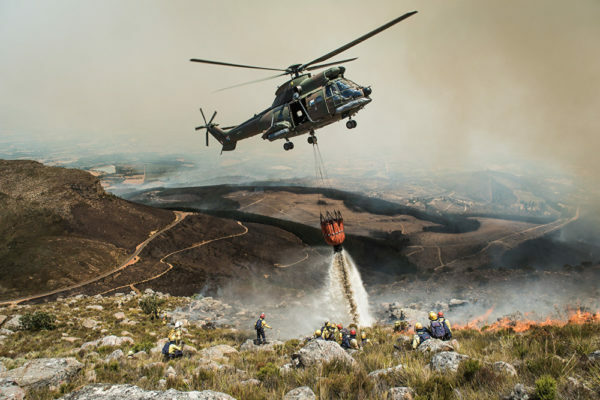 In the ‘My Planet: series’ category, Sullivan was acknowledged for his series of photographs titled ‘Walking with Fires: Going Beyond’, which showcases firefighters tackling various blazes. He explained his motive behind the theme of the series to The Andrei Stein International Press Photo Contest, commenting on the importance of environmental conservation. “I’ve invested a huge part of my life over the past three years to become a fully-trained wildland firefighter, spending countless nights high up in the mountains with firefighting teams and [making] countless sacrifices on a personal level. More so, the feature … promotes further interest in Fires on a global scale and will hopefully continue to drive investment and environmental conservation for the industry,” Sullivan said. Sullivan was also placed as the overall ‘online winner’ for his ‘Walking with Fires: Going Beyond’ series with over 25% of the public vote in his favour. The Andrei Stein International Press Photo Contest is an annual competition open to participants from across the world between the ages of 18 and 33. It aims to support young photographers in their efforts to go beyond and capture memorable moments. 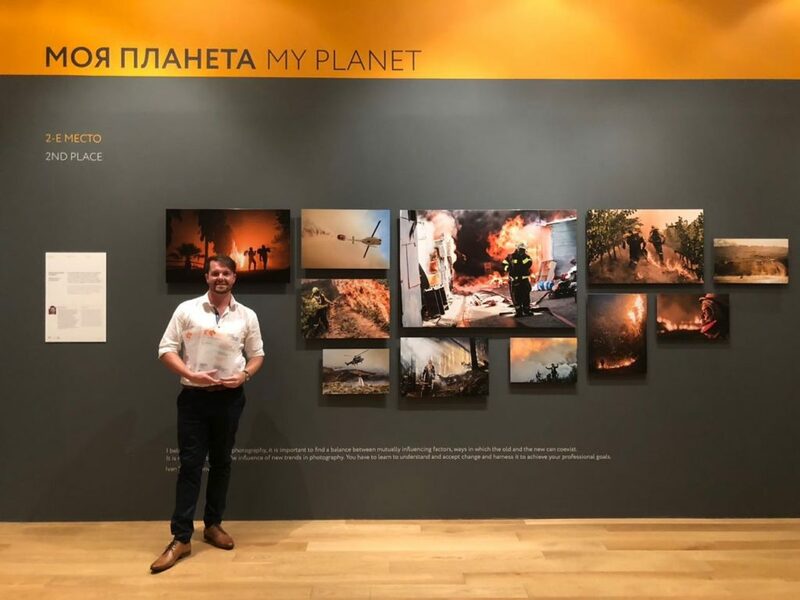 All of the award-winning images are being exhibited in Moscow, Russia. Sullivan shared his joy in receiving the accolade in a social media post. “So grateful for the opportunity and even more excited to have the privilege to explore this part of the world,” he said.